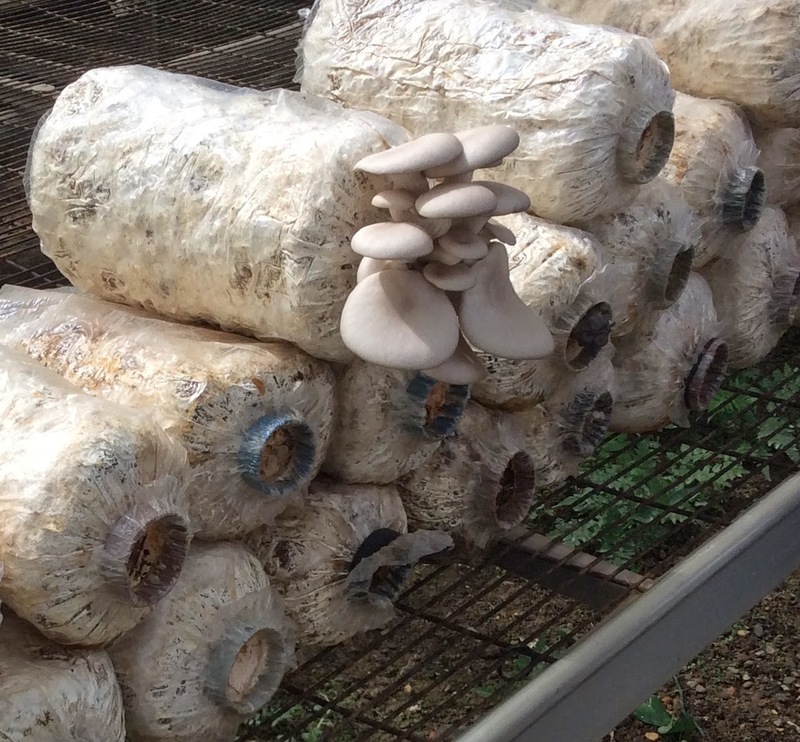 Baton Rouge, LA - The USDA Natural Resources Conservation Service in Louisiana has announced a special funding pool for beginning farmers and ranchers and socially disadvantaged farmers and ranchers through the Environmental Quality Incentives Program (EQIP). In order to be considered for this funding pool, applications must be received by December 19, 2014. For more information on the Environmental Quality Incentives Program, visit the NRCS EQIP webpage or your local NRCS office. To get started with NRCS, visit your local USDA Service Center or www.nrcs.usda.gov/GetStarted. Learn more about the Farm Bill at www.nrcs.usda.gov/FarmBill. Baton Rouge, LA - SU Ag Center has recently received $479,672 funding for three years (2014-2017) from USDA/National Institute of Food and Agriculture (NIFA) Capacity Building Grant Program to undertake a multi-disciplinary research entitled “Urban Tree Interception of UV (A/B) Radiation and Its Genetic Consequences.” The project director is Dr. Yadong Qi, professor of urban forestry and the co-project directors include Dr. Wei Gao, professor and director of USDA UV-B Monitoring and Research Program at Colorado State University, Fort Collins; Dr. Rao Uppu, professor and chairman of environmental toxicology, SUBR; Dr. Wesley Gray, professor of chemistry, SUBR; Dr. Kit L. Chin, professor of horticulture, SU Ag Center; and Dr. Shuju Bai, associate professor of computer science at SUBR. “This multi-institutional and multi-disciplinary research team represents the best partnership and collaboration in the field of UV-B monitoring and research. The team will have two major tasks: to develop UV (A/B) interception models to understand how forest canopy influences UV radiation in urban environment, and to investigate UV (A/B) induced DNA damage and associated repair mechanisms in selected group of southern broadleaf tree species,” said Dr. Yadong Qi, PD. The partnership with Dr. Gao’s group at Colorado State University USDA UV-B Monitoring and Research Network will ensure streamlining SU's portable UV-B monitoring station to be coupled with the Network's Baton Rouge ambient monitoring station. Gao’s group will provide system calibration, participate in canopy UV transfer modeling task, host and train graduate and student interns for the project. Co-PDs Dr. Uppu and Dr. Gray will participate in DNA damage and repair research task and student advisement. Co-PDs Dr. Shuju Bai and Kit L Chin will participate in measurements and modeling of canopy-UV interaction. The project will provide training opportunities to postdoc scientists, graduate students, and undergraduate interns in urban forestry and environmental toxicology. Stratospheric ozone depletion has resulted in a significant increase in solar ultraviolet radiation (UVB, 280-315nm and UVA, 315-400nm) on the earth's surface. With the future uncertainty of stratospheric ozone recovery and global climate change, there is a critical need for systematic evaluation of UV impacts on trees and urban forest. In the last 15 years, Dr. Yadong Qi with her team has investigated the biochemical and biophysical mechanisms of UV tolerance in more than 30 southern tree species. The outcomes of the early study warrant the continuation to further evaluate tree interception of UV radiation and its resulting genetic consequences. “With this new project, we will focus on discovering the role of DNA damage and repairing mechanism in UV-B tolerance in southern trees and modeling the forest canopy influences on UV radiation in urban environment. The results will contribute to a better understanding of UV effects on the trees' genetic stability and quantification of urban forest effects on ground level UV distribution. Such knowledge is not only important to the scientific community, but also crucial to planning and management and long-term sustainability of urban forests”, said Dr. Qi. This new project has also received strong endorsements, technical support and collaboration from several well-know research experts in DNA damage/repair and UV climatology, including Dr. Gordon Heisler, research meteorologist, USDA-FS Northern Research Station, Dr. Joseph Sullivan, professor in plant physiology at University of Maryland-College Park; Dr. John R. Battista, professor in biological science at LSU; and Dr. Ann E. Stapleton, associate professor in genetics at University of North Carolina in Wilmington. The knowledge of UV-B tolerance capacity in diverse trees will have implications in predicting forest health and ecosystem productivity and in designing effective urban and community forest management strategies. The project will strengthen our institutional research competitiveness and enhance research and student training capabilities at Southern University. The article focused on teaching parents to be positive influence on their children eating and other healthy habits. 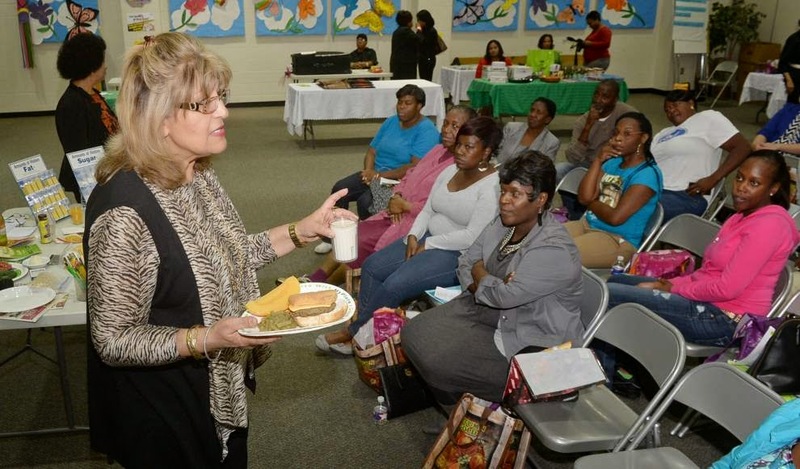 About two dozen mothers and fathers joined the three-month National Obesity Initiative from the La Capitale chapter of The Links Inc. to prevent obesity and the serious health problems associated with it. 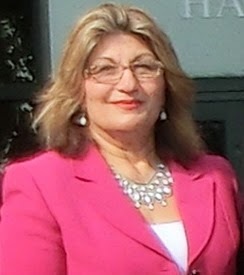 Baton Rouge, La – A faculty member of the Southern University Agricultural Research and Extension Center, Fatemeh Malekian, Professor of Nutrition and Food Science was recognized by the Family Service of Greater Baton Rouge. 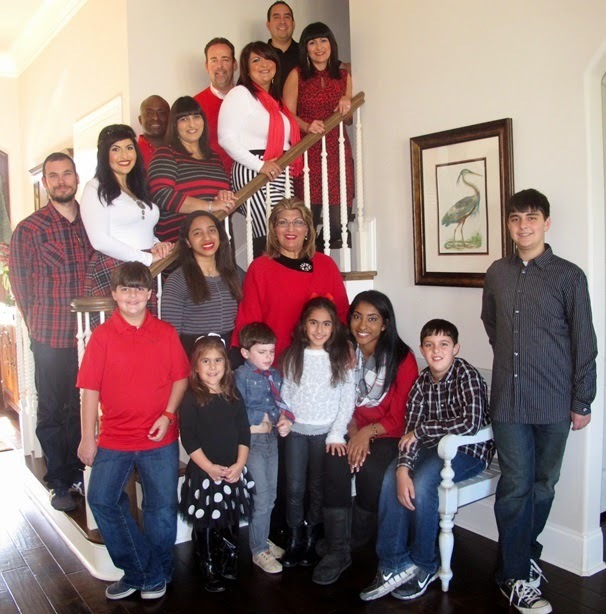 On November 14, 2014, the Family Service of Greater Baton Rouge hosted its 21st Annual Gala, themed “Celebrate the Family/An All Red Affair.” This year's event, held at The Capitol Park Welcome Center, was one to remember. Dr. Malekian was among the families honored at this very special event. The other honorees were Kim and Trey Bowman, Dr. Murrelle Harrison, Julio and Sherry Melara. 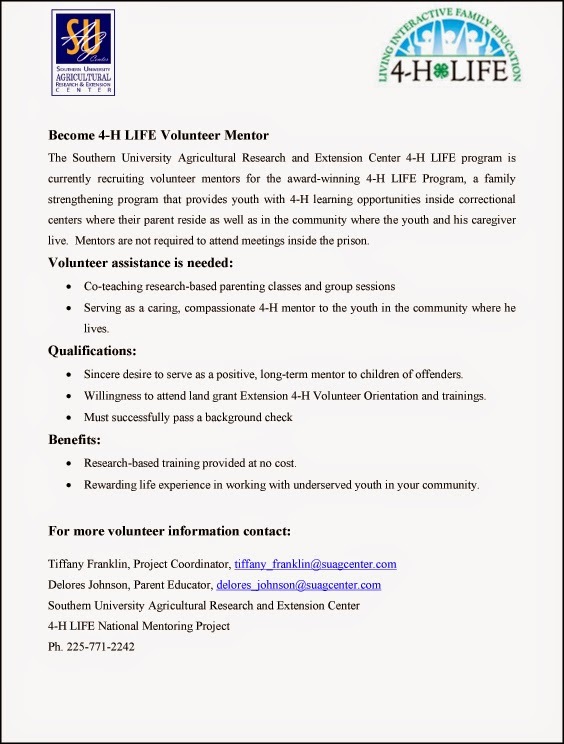 Typically these families have overcome severe adversity or contributed through their volunteer efforts to strengthen the community. The organization hosts this event, which celebrates families, while raising funds for the agency. 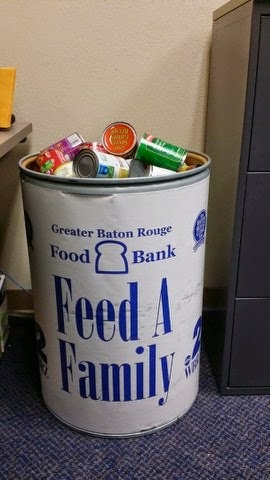 The contributions received from this event helps support Family Service of Greater Baton Rouge and its mission to counsel and strengthen individuals and families improving their quality of life. 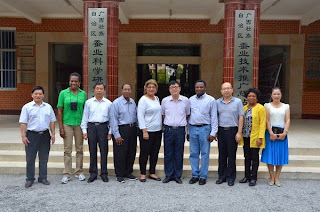 Baton Rouge, LA – Faculty members from Southern University went on a scientific exchange visit to China from October 17-30, 2014. In Nanning, Guangxi Province, one of the entities visited by the delegation posted a news article about the team on their website in Chinese. This translation of the Guangxi Silk Industry website post is a product of web translation. “October 28 morning, the American world agricultural supply and demand forecasts member delegation of experts in different fields of study consisting of five Americans from Southern University were accompanied by the Deputy Director of Agriculture Department of Foreign Economic Department of the Guangxi autonomous region Sericulture Technology Extension Station visit. 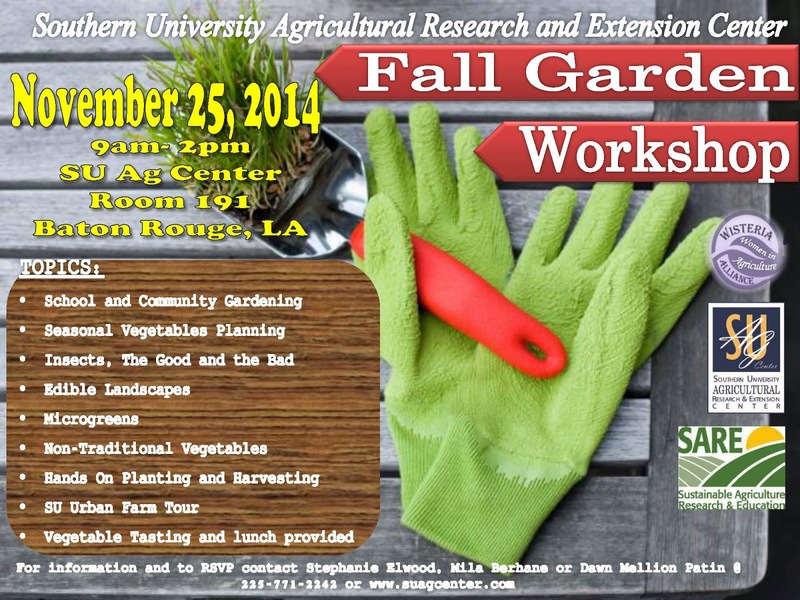 Growing non-traditional vegetables, learning about edible landscapes and microgreens are some of the topics that will be covered during the 2014 Southern University Ag Center's Fall Garden Workshop. The workshop, which is free and open to the public, will be held from 9 a.m. - 2 p.m. on November 25 in room 191 of A. O. Williams Hall - SU Ag Center, 181 B. A. Little Drive, in Baton Rouge. Participants will also be able to tour the SU Ag Center's newly constructed "Urban Demonstration Farm," which currently features raised bed gardens of winter vegetables. Lunch will also be provided. For additional information about the Fall Garden Workshop and to RSVP, contact Stephanie Elwood, Mila Berhane or Dr. Dawn Mellion-Patin at 225.771.2242. 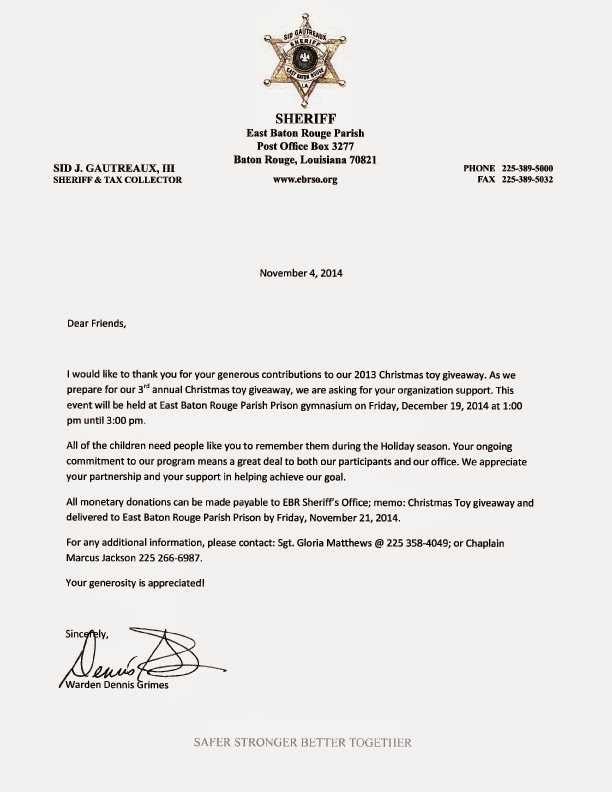 The Southern University Ag Center has been asked to participate in the 2014 East Baton Rouge Parish Prison Toy Giveaway. Donations can be given to Delores Johnson, Milissia John-Baptiste or Tiffany Franklin. These individuals can be reached at 225.771.2242 for additional details. 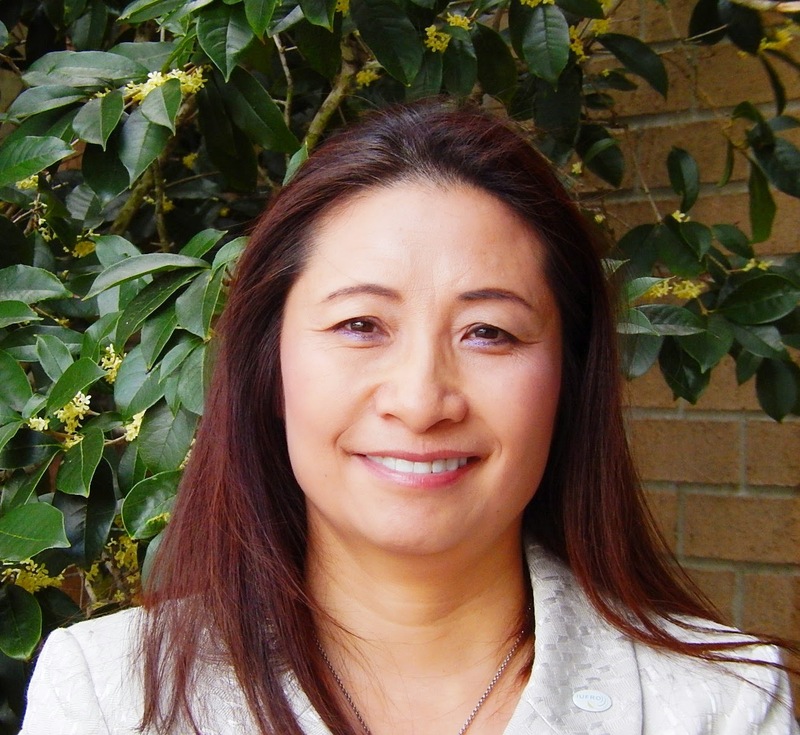 Dr. Yadong Qi, professor of urban forestry, was selected to give two oral presentations at the International Union of Forest Research Organizations (IUFRO) XXIV World Congress, in Salt Lake City, Oct. 5-11, 2014. Her first talk entitled “Greenspace infrastructure and Public Perception of representative Country Parks in Beijing, China” was given at the Technical Session A-04(88) Resilience and Identity with Urban Forests: A Landscape Approach, which featured eight international talks from Japan, Turkey, Australia, Korea, Thailand, USA, and Italy. Qi’s second talk entitled “Novel Nanotechnology for Forest and Forest Product Protection” was given at the Technical Session F-15(259) Application of Nanotechnology and Biotechnology in Forest Product Research, which featured five international talks from China-Taipei, Malaysia, USA, and Germany. The abstracts have been published in The International Forestry Review Vol.16(5),2014; p29, p309. Also, Dr. Qi attended the International Union of Photobiology (IUPB) 16th International Congress on Photobiology, from September 8-12, 2014 in Cordoba, Argentina. Dr. Qi was selected to give one oral presentation entitled “UV Radiation and Its Impact on Skin Cancer in the United States” at the Technical Session of UV-Induced Mutagenesis and Carcinogenesis. The session featured five international talks from France, Japan, Poland, Canada, and USA. In addition Dr. Qi had a poster presentation entitled “UV-B Tolerance Properties Exhibited in Diverse Broadleaf Trees” at the Congress. The abstracts were published in the 16th International Congress on Photobiology Abstract Book: p277, p614. On November 3, 2014 the Association of Public Land-Grant Universities (APLU) announced the winners of the 1890 University Teaching, Research and Innovation Awards. APLU's Council of 1890 Universities named the 2014 recipients of the 1890 Teaching, Research and Innovation Awards. Now in its second year, the annual honor highlights exemplary achievements at 1890 land-grant institutions by recognizing advances in teaching, research and innovation on 1890 university campuses and encourages further advancement and development in areas of critical importance. The awards were presented during a special reception at the 127th APLU Annual Meeting in Orlando, Florida. The Council of 1890 Universities, which is comprised of presidents and chancellors from APLU member historically black land-grant and public universities, works to strengthen teaching, research and extension programs as well as seeks to maintain, ensure and increase funding at these institutions. The awards are designed to bring exposure to these universities and add to the national dialogue regarding their significance. Prior to the selection process, self-reported data from the 1890 Universities was submitted in a number of outcome categories (e.g., retention rates, research revenue and expenditures, etc.). Each university was then evaluated among its peers with the winning institution demonstrating the most productivity in a given area. The Southern University System took home the International Research Award. This award was presented for the largest increase in international research awards from 2012-2013 through 2013-2014. Other awards went to the following universities: The Retention Award - Lincoln University; The Degree Completion Award - Kentucky State University; Agriculture Degree Completion Award - Lincoln University; Education Degree Completion Award - Fort Valley State; STEM Degree Completion Award Alcorn State University; Intellectual Property Award - Fort Valley State University; Innovation Award - North Carolina and A&T State University and the University of Arkansas Pine Bluff; Research Award - Kentucky State University; Experiential Student Learning Award - Kentucky State University; International Students Award - Delaware State University; International Student Development Award - University of Maryland Eastern Shore; Alumni Engagement Award (Number) - University of Arkansas Pine Bluff; Alumni Engagement Award (Amount) - West Virginia State University; Exemplary Alumni Award - West Virginia State University; and 1890 University of the Year Award - North Carolina A&T State University and the University of Maryland Eastern Shore. NCA&T and UMES were among the top three in 6 out of 14 categories. The Southern University chapter of Minorities in Agriculture, Natural Resources, and Related Sciences (MANRRS) Student Organization is currently taking orders for their Annual Sweet Potato Sale. The group is selling 40 pound boxes of sweet potatoes for $20. Payment is required with your order and the deadline to order the Sweet Potatoes is 5 p.m. on November 13. 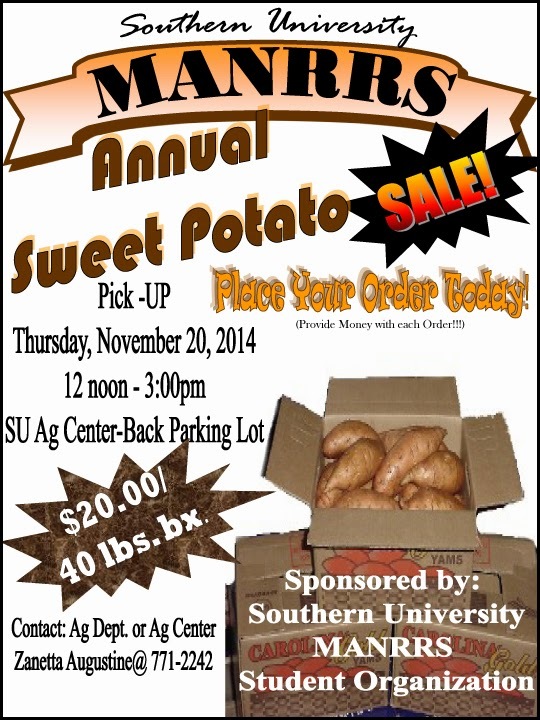 The potatoes will be available for pick-up on Thursday, November 20 from noon-3 p.m. at the parking lot behind the SU Ag Center-A.O. Williams Hall. For more information about the sale or to place an order, contact Zanetta Augustine at 225-771-2242. 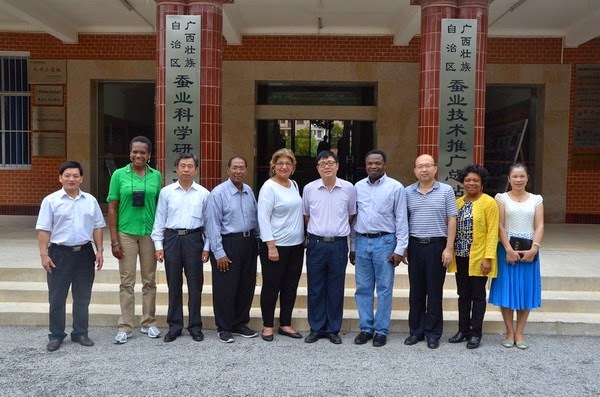 Five members of the Southern University Agricultural Research and Extension Center and Southern University and A&M College have returned to Baton Rouge after taking part in the US-China Scientific Cooperation Exchange Program (SCEP). 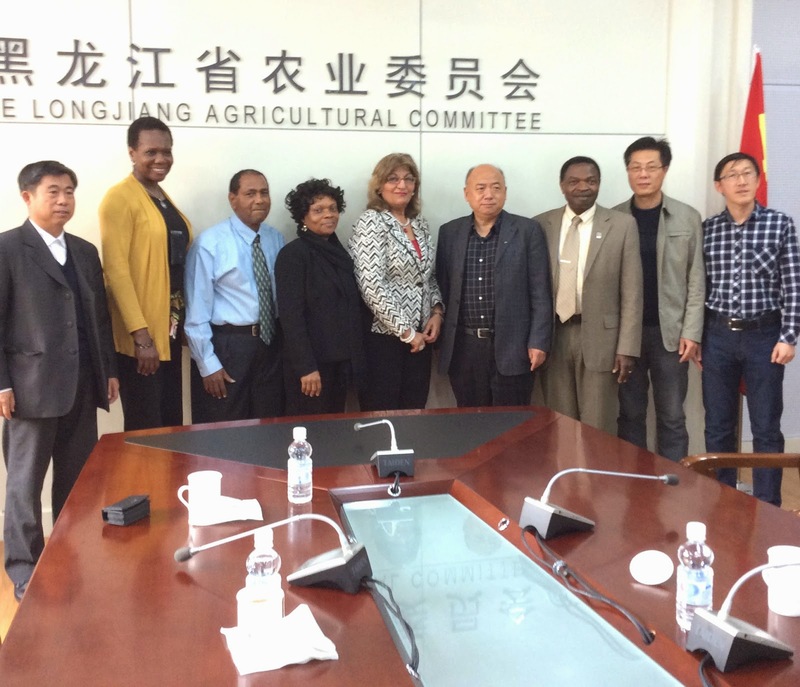 The visit which took place from October 17-30, 2014 was part of the United States Department of Agriculture (USDA)/Foreign Agricultural Service’s exchange with the People’s Republic of China. The objective of SCEP is to promote bilateral scientific exchange in the areas of agricultural cooperation, development, and trade between the United States and China. 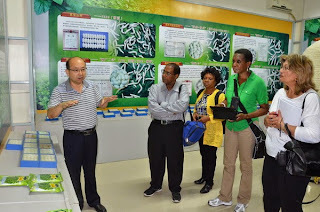 During the visit, the group met with the Chinese staff of the National Agro-Tech Extension and Service Center, the College of Economics and Management at the China Agricultural University, the Division of Market Information at the Agricultural Committee of Heilongjiang and Guangxi Provincial Department of Agriculture as well as visiting extension agencies, manufacturers of value-added products, grains and poultry farms. Ministry of Agriculture (MOA) of the People’s Republic of China (PRC) arranged everything as soon as the SU delegation arrived in Beijing. The agenda was full of meetings and activities related to Agriculture, world supply and demand estimates. The visit proved to be quite fruitful and the team is confident that the goals of the program were not only met, but exceeded. 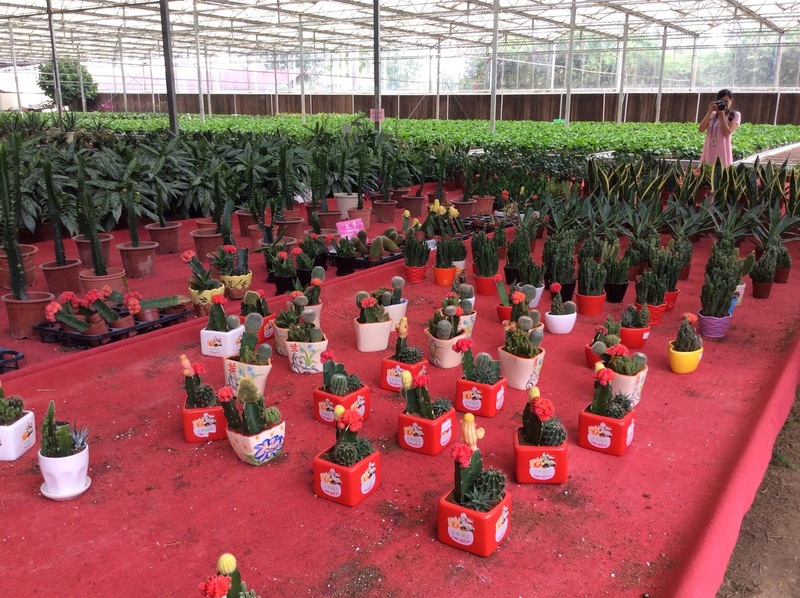 The meetings with the Chinese Ministry of Agriculture and other agriculture-related entities revealed numerous potential areas for successful collaboration. The meeting at the Silk Science Research Institute and the tour of the facilities was one of the most impressive! The information presented demonstrated areas of mutual collaboration that could potentially utilize the expertise of the majority of the faculty at the SU Ag Center and Southern University's Agricultural, Family and Consumer Sciences. Specific areas included (1) planting, breeding and research on the various species of mulberry trees (which silk worms only feed on); (2) growth and development of the silk worms; (3) production of the silk fabric; (4) investigating additional textile applications for the silk; (5) investigating new food and beverage products from the mulberry fruit (jams, juices, wines, etc. ); (6) fertilizer production; (7) research on pharmaceuticals products from the mulberry trees; and (8) marketing all of these products in Louisiana and the U.S.
From the meeting with faculty members at the College of Economics and Management at the China Agricultural University, it is evident that there are opportunities for joint research and publications in areas such as food production and security; food consumption and safety; public goods and rural development; climate change, biotechnology and agriculture, among others. The faculty members with whom the team met were quite impressed by the way teaching, research and extension in the Southern University System and in the USA work so well together. In addition, they were amazed with the USDA programs to assist U.S. farmers and rural families. The SCEP visit will provide opportunities for future faculty and student exchanges between the Southern University System and China. 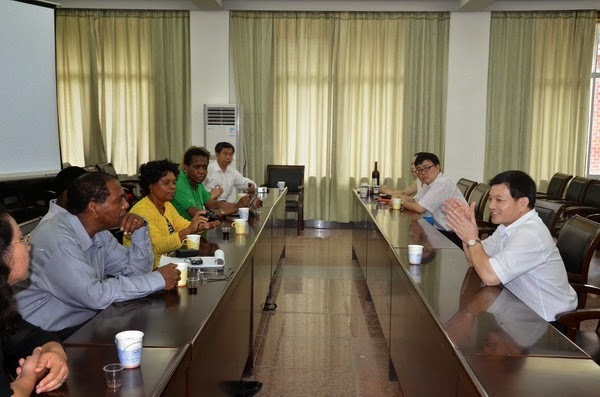 “At one of the meetings in Guangxi Province in Nanning Department of Agriculture, the deputy director informed us that we were the first academic and agricultural group from the United States to visit their facilities. As a result the doors for collaboration opened and seven faculty members present were extremely excited about what we can offer from the Southern University Agricultural Research and Extension Center and also what we could benefit from the mutual collaboration,” said Fatemeh Malekian, Professor of Food Science/Nutrition, SU Ag Center and Program Team Leader. The China delegation consisted of: Professor of Food Science and Nutrition, Fatemeh Malekian; Coordinator for Planning and Evaluation, Oscar Udoh, Ph.D.; Professor of Animal Science, Sebhatu Gebrelul, Ph.D.; Associate Dean, College of Sciences and Agriculture, Doze Y. Butler, Ph.D., MBA, and Professor of Apparel Merchandising and Textiles, Southern University and A&M College; and Communications Specialist, Bridget Udoh, Ph.D.